The certified pre-owned 2018 INFINITI Q50 for sale in Merrillville, IN is a premium sedan continues to push boundaries. link up to create a cutting edge design and every detail within the Q50 meets the level of luxury that INFINITI is known for. 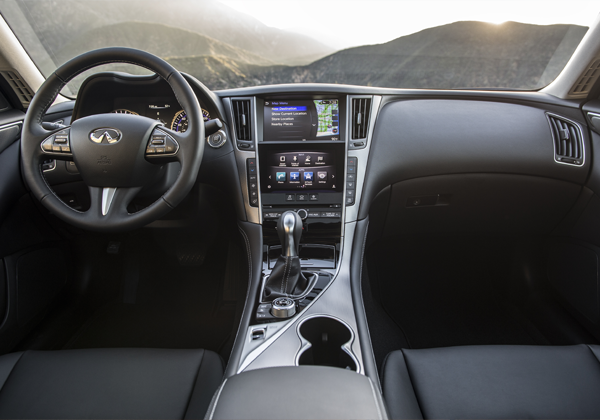 It’s hard not to feel inspired sitting inside theu pre-owned Q50 thanks to it’s premium interior and elegance. From the genuine maple wood trim to the available Kachu aluminum trim, luxury has got your back while you’re cruising on any journey. Capitalize on an upgrade to leather-appointed seating with a leather-wrapped steering wheel to take full advantage of the Q50’s beauty. You will feel inspired sitting inside the pre-owned Q50 with its elegance and premium interior. A genuine maple wood trim or the available Kachu aluminum trim provides luxury so that you are comfortable while driving through Northwest Indiana. Upgrade to leather-appointed seating with a leather-wrapped steering wheel to fully embrace the beauty of the Q50. 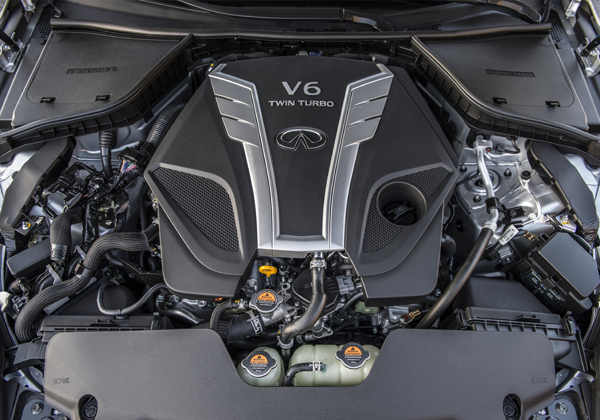 The used 2018 INFINITI Q50 for sale in Merrillville, IN features a 3.0-liter V6 twin-turbo that was named to Ward’s 10 Best Engines of 2017. It delivers remarkable performance peaking at a 400 horsepower. The engine block combines efficiency and performance by reducing weight and increasing responsiveness with its aluminum alloy design. Intelligent All-Wheel Drive monitors wheelspin, throttle, and speed to help produce better traction by sending up to 50% of the power to the front wheels. Make each drive yours with Dynamic Digital Suspension. This allows you to select your desired suspension stiffness in order to switch between performance and comfort. The certified Q50 body has been sculpted to showcase athleticism and power. Its front fascia and crescent shaped windows provide greater visibility while also contributing to the Q50’s aerodynamic profile. Multi-mode headlampes are designed to be framed by the prominent grille which are also accented by daytime running lights. 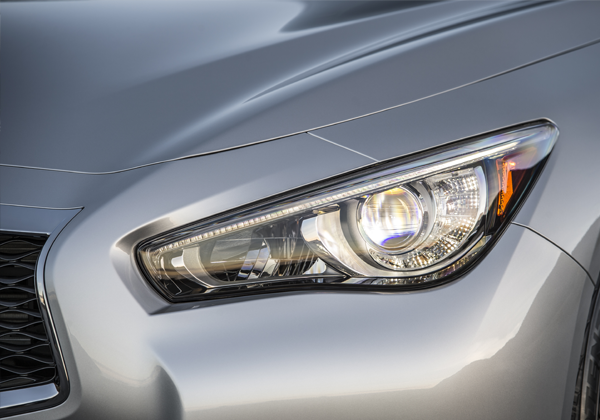 Loaded with technologies to improve safety, the used Q50 can also help monitor road conditions. The available Predictive Forward Collision Warning is an innovative technology that monitors the road and up to two vehicles in front of you, to predict and warn you of a possible collision. The Forward Emergency Braking alerts you and applies the brakes when it detects a vehicle ahead of you and senses that action is required. 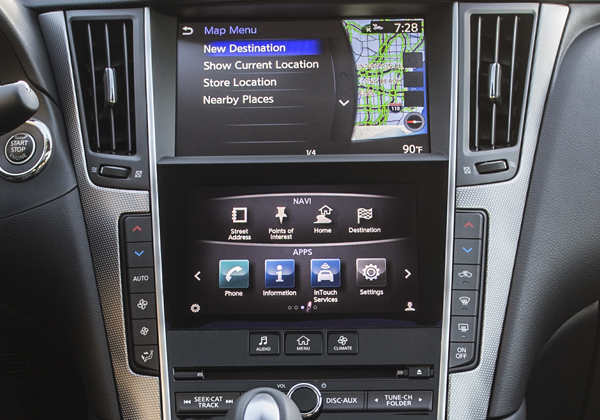 The used Q50 is loaded with technologies that improve safety and help monitor road conditions. The available Predictive Forward Collision Warning is an innovative technology that monitors the road and up to two vehicles in front of you, to predict and warn you of a possible collision. The Forward Emergency Braking alerts you and applies the brakes when it detects a vehicle ahead of you and senses that action is required. 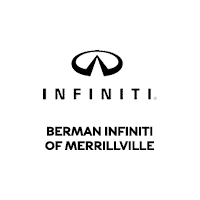 You can visit Berman INFINITI Merrillville at 1794 W 81st Ave in Merrillville, IN to see the 2018 INFINITI Q50. You can contact us to schedule an appointment, or get directions below!